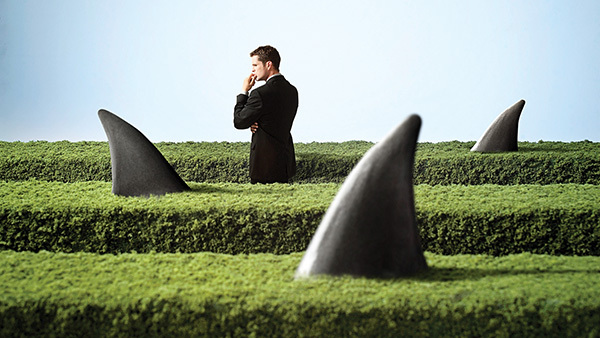 A look at hedge funds and annuities. In essence, Calpers recognized and acted upon what should be apparent to everyone: Hedge fund returns have simply not lived up to their hype. A recent study by Vanguard confirmed that a standard portfolio with an asset allocation of 60% stocks and 40% bonds outperformed almost all hedge funds during the past decade. Moreover, the annualized returns of the HFRX Global Hedge Fund Index (which attempts to reflect the opportunities in the hedge fund industry) underperformed every major stock asset class, and even three Treasury indexes, for the last 10 calendar years (through 2013). When analyzed on an asset-weighted basis, hedge fund returns are even worse. As Simon Lack documented in his book “The Hedge Fund Mirage,” if all the money that has ever been invested in hedge funds had been invested in U.S. Treasury bills instead, the overall results would have been twice as good. That failure—and it is a monumental failure—is largely on account of outsized fees. The notorious “two and 20” (a 2% fee plus 20% of earnings) makes realizing the outsized gains hedge fund investors expect essentially impossible to obtain in the aggregate, despite a handful of prominent success stories. Hedge fund apologists will no doubt retort that hedge funds are, naturally enough, designed to be a hedge rather than to outperform traditional investments generically. And at least initially hedge funds were indeed designed to perform differently than the overall market. The sociologist and diplomat Alfred W. Jones coined the phrase “hedged fund” and is generally credited with creating the first hedge fund structure in 1949. Jones referred to his fund as being “hedged” in that his portfolio included both long and short positions designed to limit overall market risk. The idea wasn’t superior returns nominally, but rather superior risk-adjusted returns. “Any idiot can make a big return by taking a big risk. You just buy the S&P, you lever up—there’s nothing clever about that,” said Sebastian Mallaby, the author of “More Money Than God: Hedge Funds and the Making of a New Elite.” “What’s clever is to have a return that’s risk-adjusted.” Even more fundamentally, the objective was non-correlated returns, positive returns in difficult and bad markets. But hedge funds haven’t delivered on that promise either, especially lately, since big chunks of money have been flowing into hedge funds. During the tech bubble at the turn of the century, hedge funds often did what they were supposed to do. For example, the Yale Endowment—heavily invested in some of the world’s great hedge funds—performed exceedingly well during that period. From July 2000 through June 2003, while the S&P 500 fell 33%, Yale’s endowment actually gained 20%. Yale’s portfolio continued to perform well until 2008. However, things didn’t go so well for Yale and for hedge funds generally during the financial crisis beginning in 2008. Yale lost 24.6% in its fiscal year 2009 (compared to an S&P 500 loss of roughly 26% over that time). Perhaps worse, hedge fund investments were highly and surprisingly correlated with traditional equities during the financial crisis. What was supposed to be an important hedge didn’t do its job. Over the next several years, Yale and other similarly managed endowments, with large hedge fund allocations, continued to underperform. State pension fund trustees relying upon hedge funds obtained similarly poor results. Over the most recent 10-year period ending Dec. 31, 2013, trailing returns for 835 endowments across the United States, heavily reliant upon hedge funds (53% of their assets were allocated to “alternative strategies, largely via hedge funds), averaged 7.1% while the S&P 500 Index over the same period returned 8.78% per year. It is of course unreasonable to expect a hedge to perform well when traditional markets rally (as during much of the last five years), but the underperformance and correlation during the financial crisis coupled with the extent of the more recent underperformance is troubling indeed. Calpers also highlighted the high costs of evaluating, monitoring and managing hedge-fund investments, even after the exceedingly high fees. In a recent Bloomberg View column, Barry Ritholtz of Ritholtz Wealth Management asked a primary but often overlooked question: Why hedge? As Ritholtz persuasively argues, people and entities with sufficiently long investment horizons simply don’t need a near-term hedge. Thus Calpers, with its very long-term outlook and consistent cash inflows from current workers, doesn’t need to hedge. In essence, lower returns—even with lower volatility—simply don’t make a lot of sense. Retirees, and especially recent retirees, are in a much different category. Watching a portfolio suffer market volatility early in retirement when relying upon that portfolio to provide retirement income is terrifying for anyone. Even worse, the fear is well-grounded. A wide range of “safe withdrawal” research has shown unequivocally that poor real returns plus ongoing withdrawals over the first decade of retirement can readily lead to a retirement spending shortfall. That risk is called the “sequence of return” risk to retirement spending, a recognition that even if portfolio returns average out to an acceptable level in the long run, if poor returns and ongoing withdrawals deplete a portfolio before the “good” returns finally show up, financial disaster can and does occur. Accordingly, retirees (and especially new retirees) face serious retirement income risks that would benefit from an appropriate hedge. However, based upon the unfortunate Calpers experience, any such effort needs to be a hedge that actually does what it’s supposed to do. The great fear of every retiree is running out of money. Guaranteed income via Social Security, defined benefit plan and annuity contract is by far the safest means to provide retirement income that one can’t outlive. Therefore, prospective retirees with insufficient Social Security and pension income would do well to consider the benefits of hedging their retirement investment risks via annuity contract. One can readily and reasonably argue about how much guaranteed income a retiree ought to have, the extent of inflation protection that’s necessary and appropriate, how much one should pay for such protection, and how to balance the costs and tradeoffs (particularly relating to control and legacy) that annuities require. These issues require careful analysis and thoughtful consideration by prospective retirees, their families and their advisors. But one cannot reasonably argue that annuities don’t do precisely what they are designed to do. They provide guaranteed retirement income that one cannot outlive. A retiree with more guaranteed income has less risk of financial disaster than one with less guaranteed income. Economists routinely sing the praises of annuities as does the federal government’s General Accountability Office. Guaranteed income offers retirees the great retirement hedge. Annuities do what they are supposed to do.